Click the button below to add the Copper Bathtub 'Hand Hammered' to your wish list. Hand hammered copper bathtub with patina of choice. Buy it in antique finishing or light, dark and rustic color. 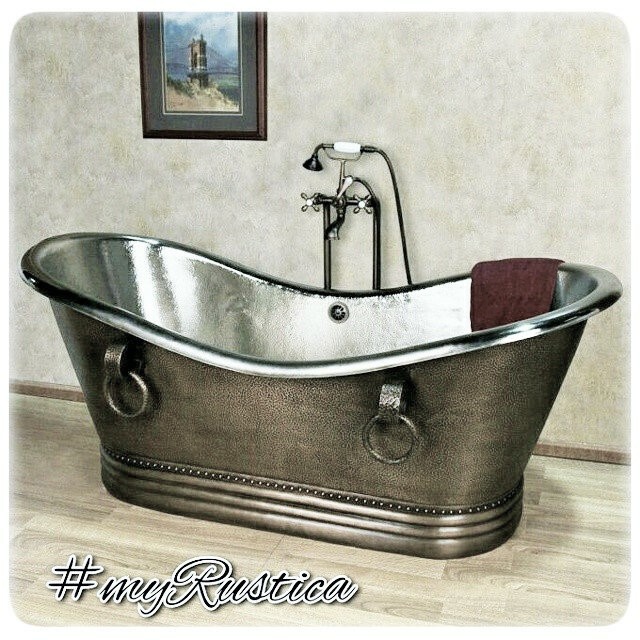 Rustica House copper bathtubs are hammered by hand in Santa Clara del Cobre. This coppersmith town in located in state of Michoacan in central Mexico. The region has colonial architecture based on Spanish design influance The bathtub is available in all standard lengths or custom made. Delivery from our production facility to the US destinations takes more less four weeks. Shipping to Europe might take even two months.